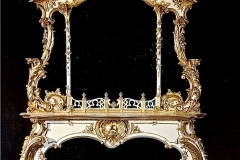 The aim of all successful restoration is an item that looks its age and shows its history. 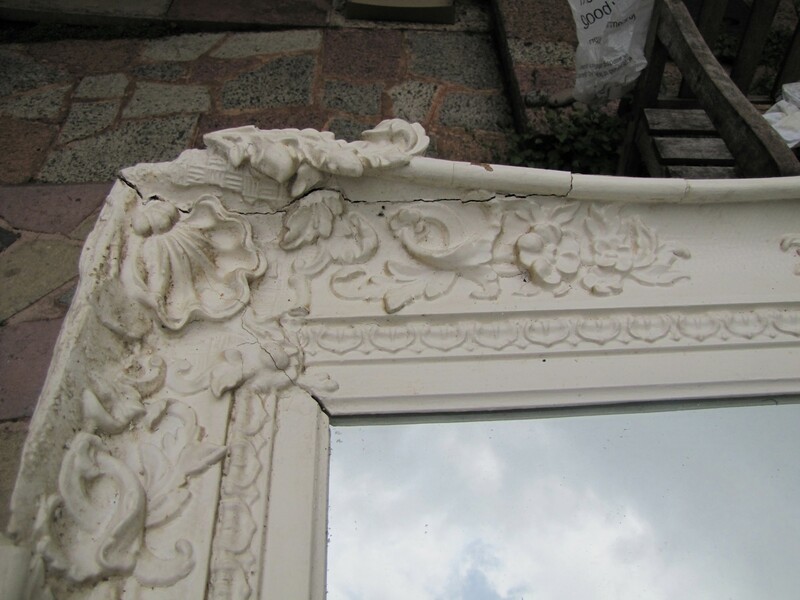 Structural damage is repaired by carving, modelling, casting, joining filling with gesso putty and brushing with gesso. 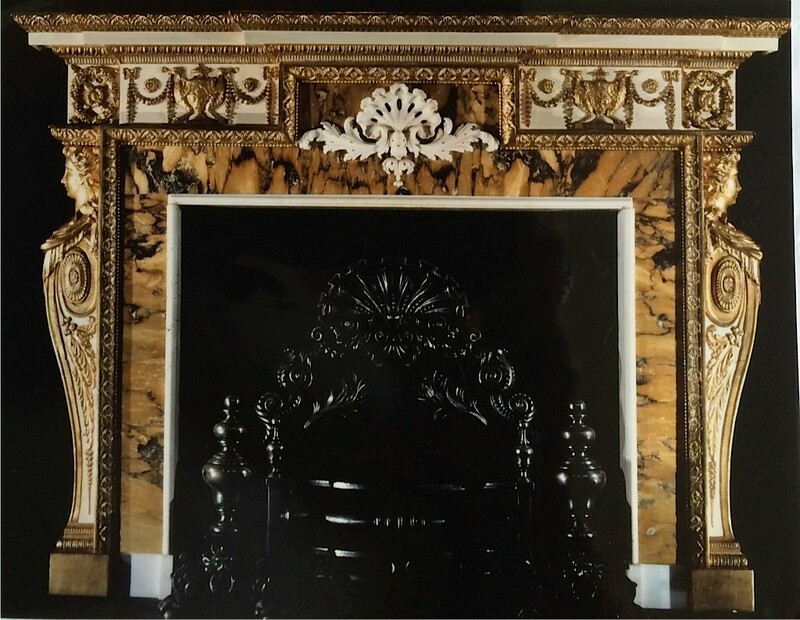 Care must be taken to match the colour of the bole to the original as the colour of the clay is specific to the country of origin. 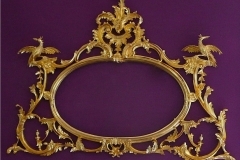 Similarly, nationality is reflected in the decorative markings in the gesso: French backgrounds are cross hatched with a hook, veining on flowery designs and leaves with a gouge; English frames are punched on the gesso before claying and gilding; Italian work, on the other hand, is punched onto the gilding. 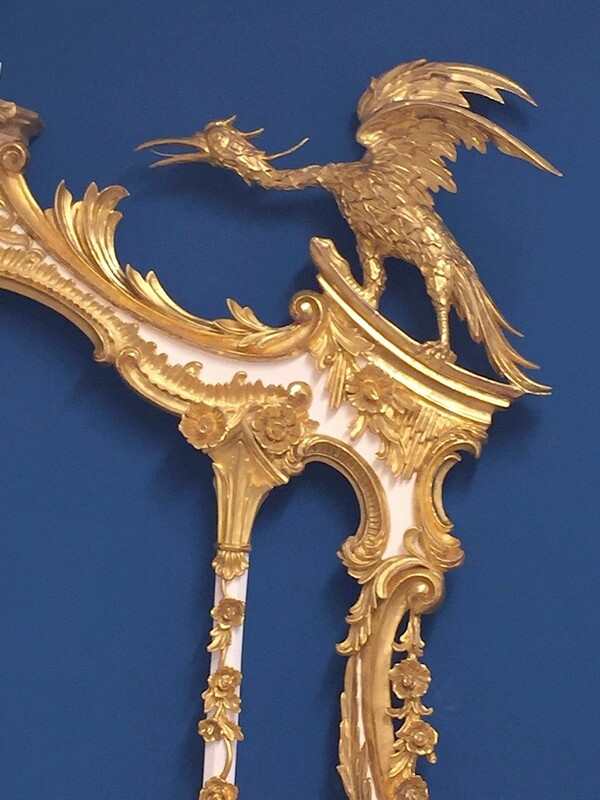 Furthermore, on 17th century English frames a screwdriver or chisel is walked around edges and reliefs. 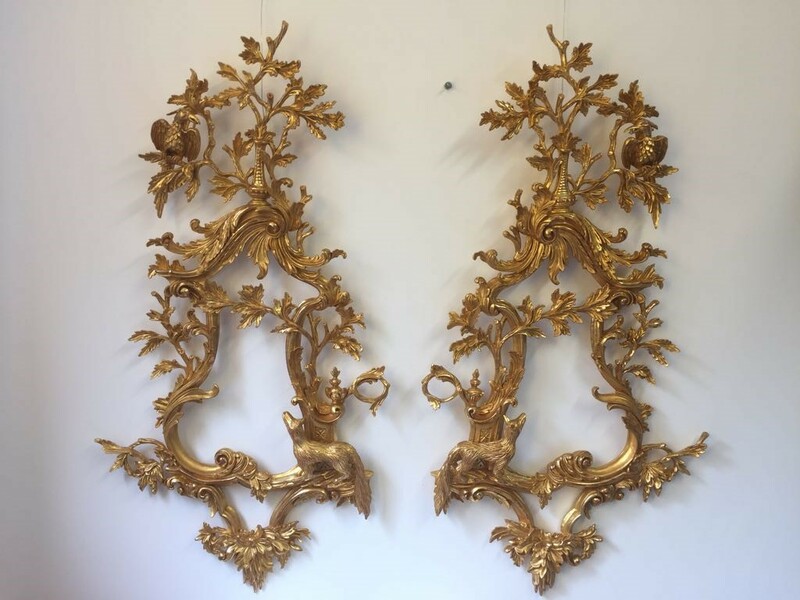 The tools, materials and techniques have changed little over the years and are exactly what you would find in an authentic Italian Renaissance Gilding workshop. 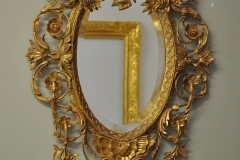 There are two methods of gilding. 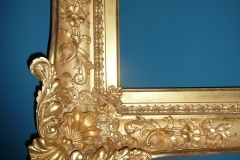 Water gilding is superior for its contrast between reflective and matte and the lustre of its burnished parts. 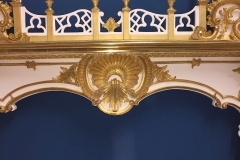 Gold leaf is applied using a gilders knife and a squirrel tip. 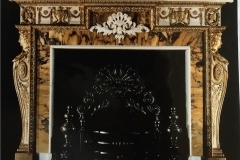 When dry the gilding can be burnished with an agate stone to the desired finish. 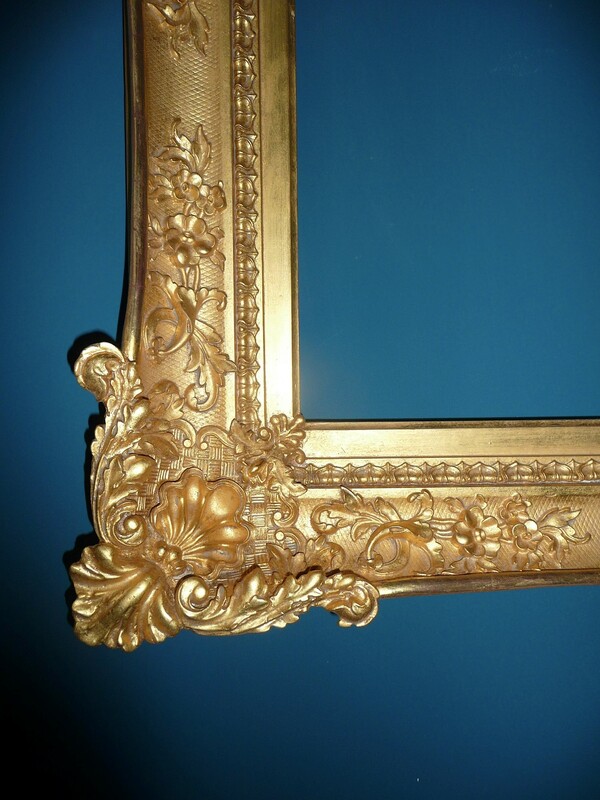 Oil gilding, however, is more durable and cannot be burnished to give a high gloss lustre finish. 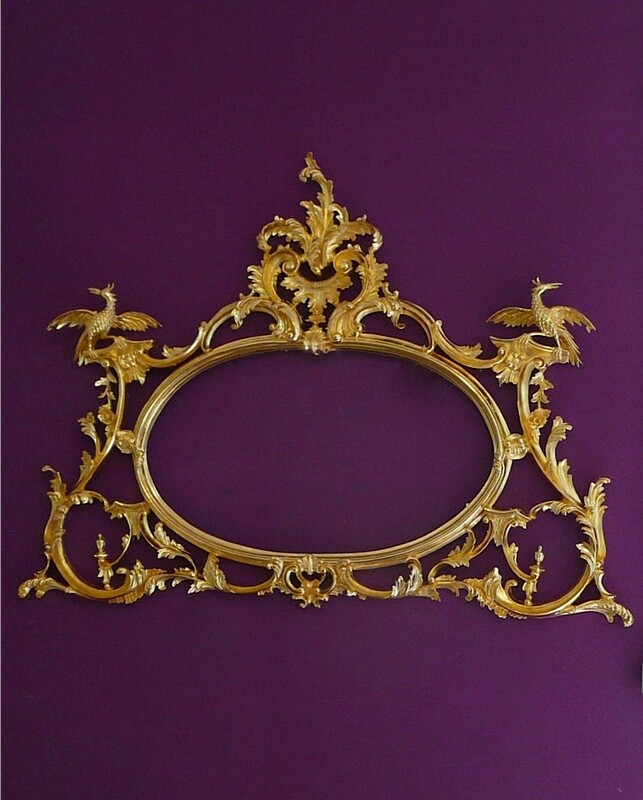 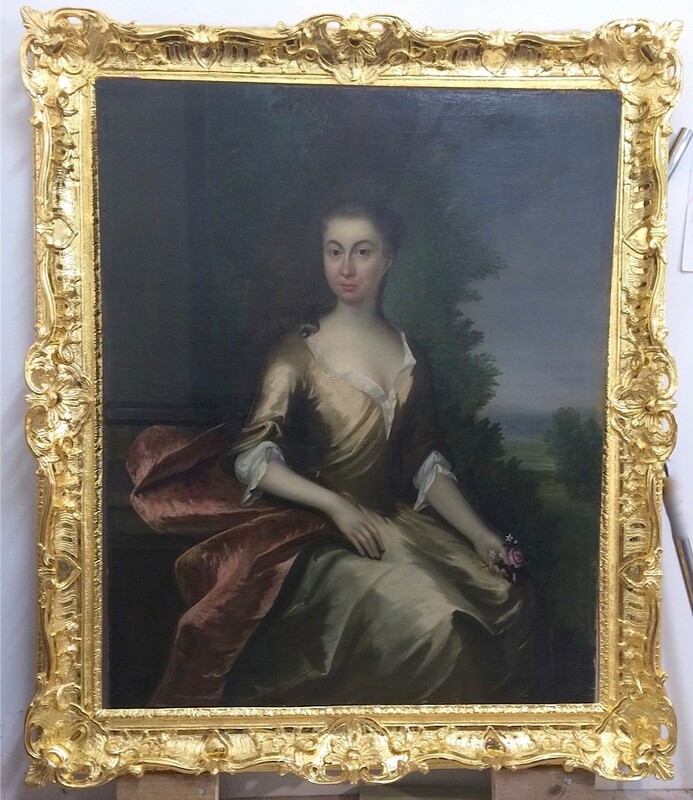 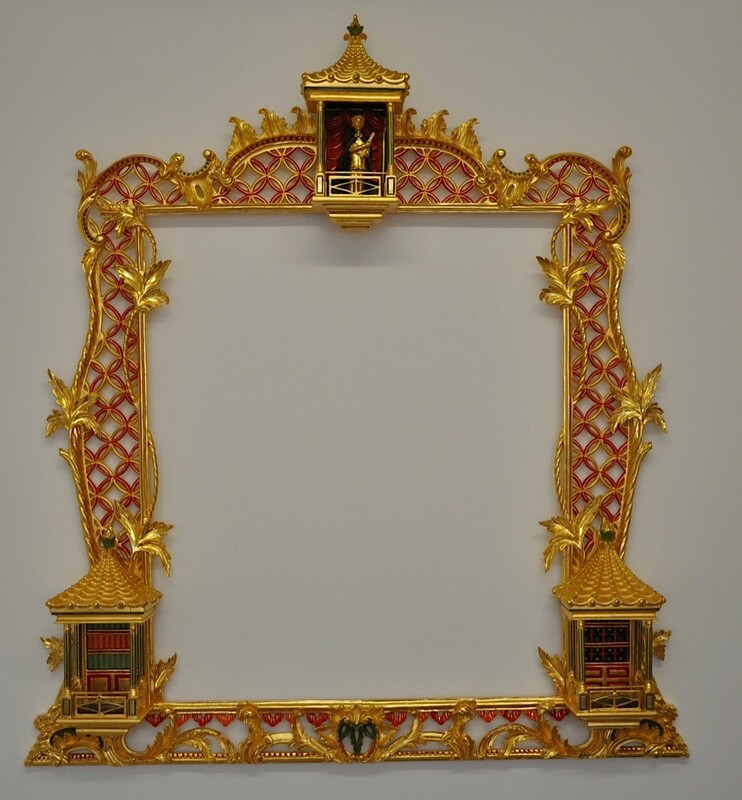 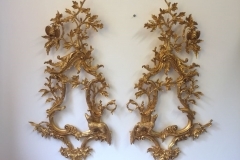 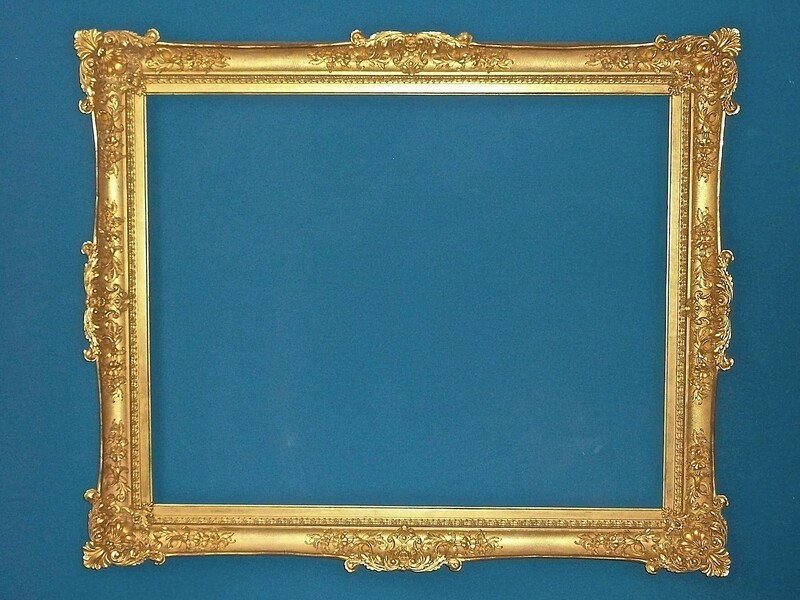 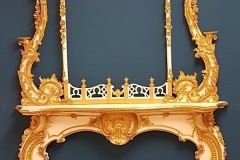 In addition, oil gilding is quicker to apply on large or detailed areas where a matte gilt is required and was used extensively in conjunction with water gilding, especially on early mass produced frames. 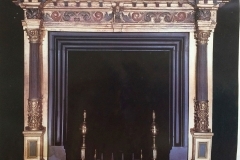 Toning refers to the technique of matching the patina and there are several ways to achieve this. 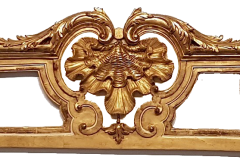 Each experienced gilder develops their own preferred methods of toning gold. 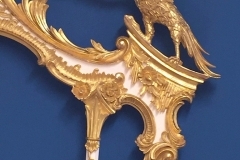 Various decorative painted techniques can be employed including parcel gilding which is where a piece has painted and gilded parts. 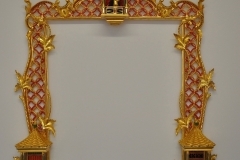 Gilding onto glass or verre eglomise is the technique used to make mirrors or as a decorative finish often utilised by interior designers. 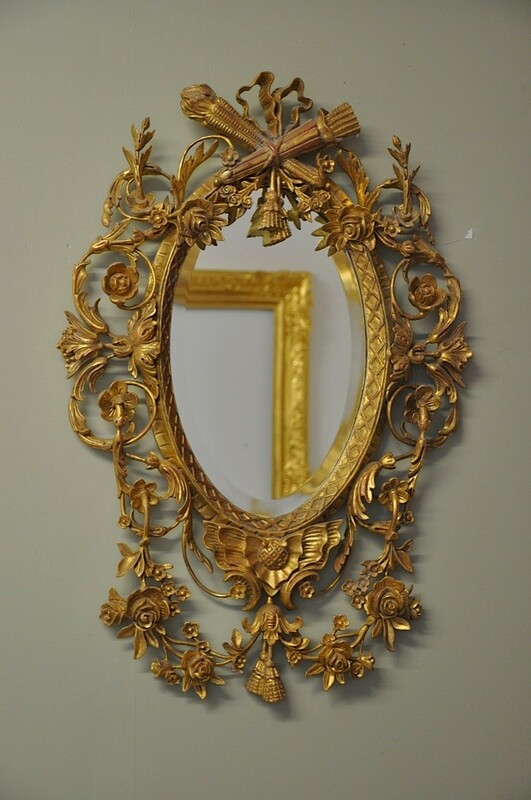 Here at the Gilding Workshop in Devon we are equipped to deal with specific requests including reproductions. 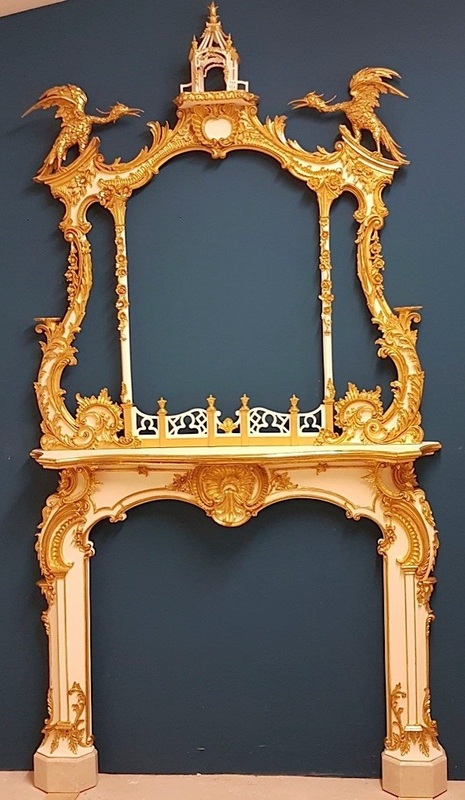 Moreover, we welcome specific enquiries regarding our traditional methods as these can vary depending not only on the strand origin of a piece but also on the client’s desired outcome. 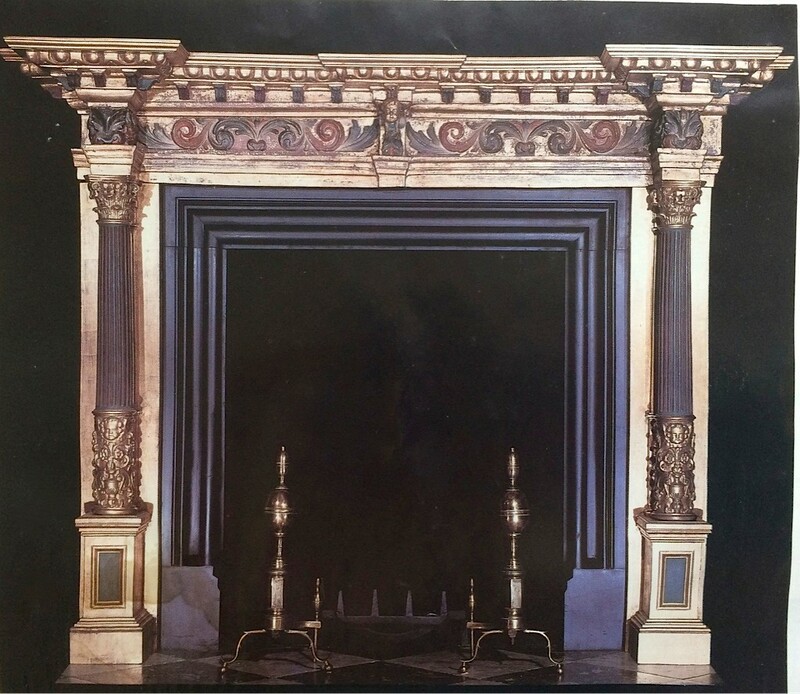 Although the majority of our work is for the trade we are very happy to take on private commissions. 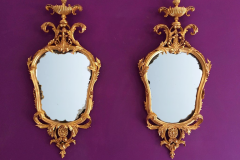 And because we love what we do and want to share our knowledge and skills we offer individual private tuition at our workshop. 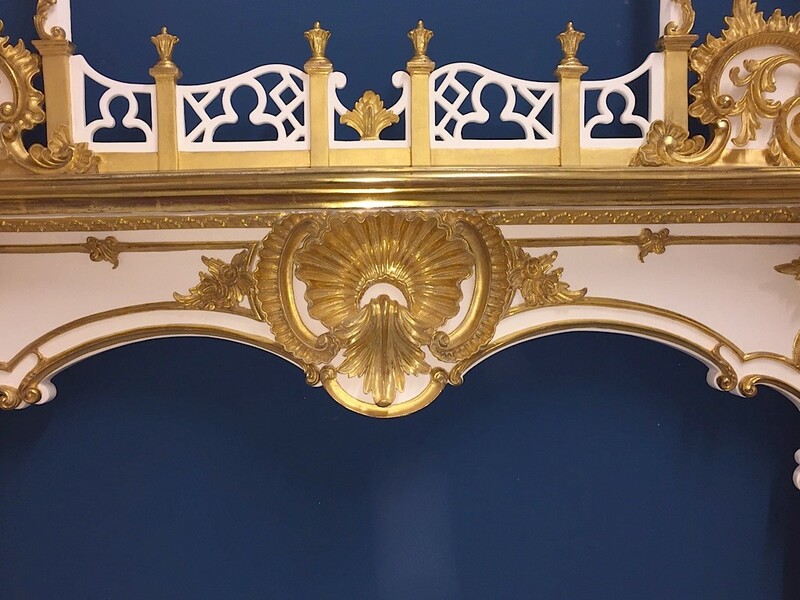 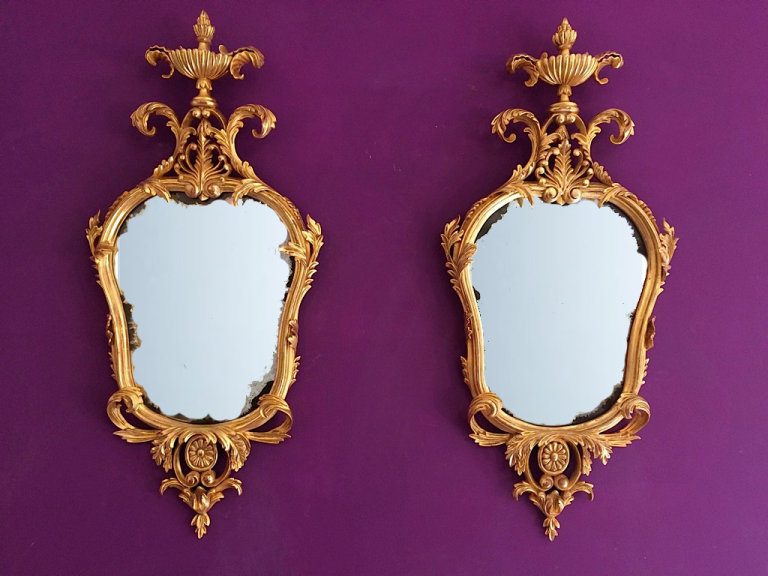 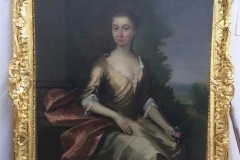 At the Gilding and Restoration Workshop we are highly trained and experienced in sympathetic restoration and gilding using traditional methods and are familiar with re-cutting and finishing pieces to an original finish matching the original patina. 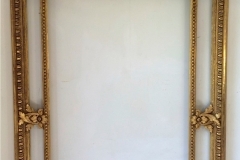 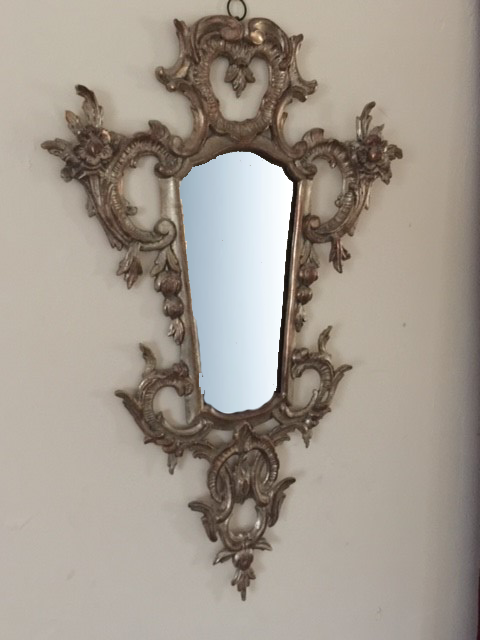 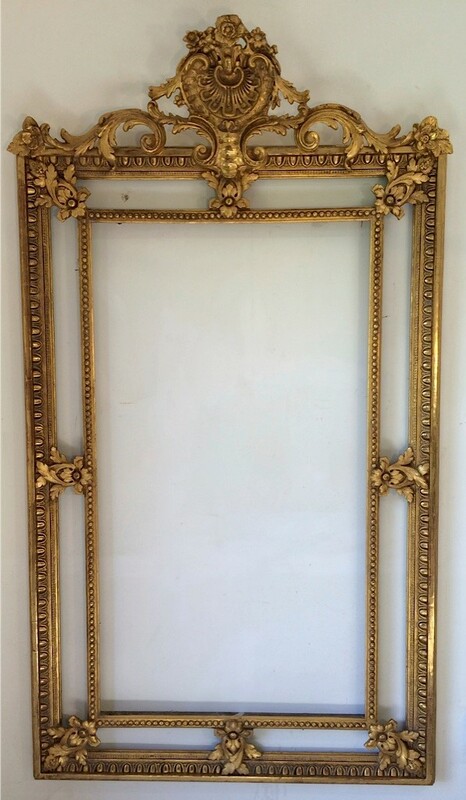 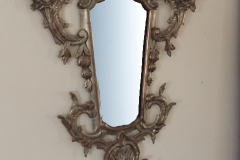 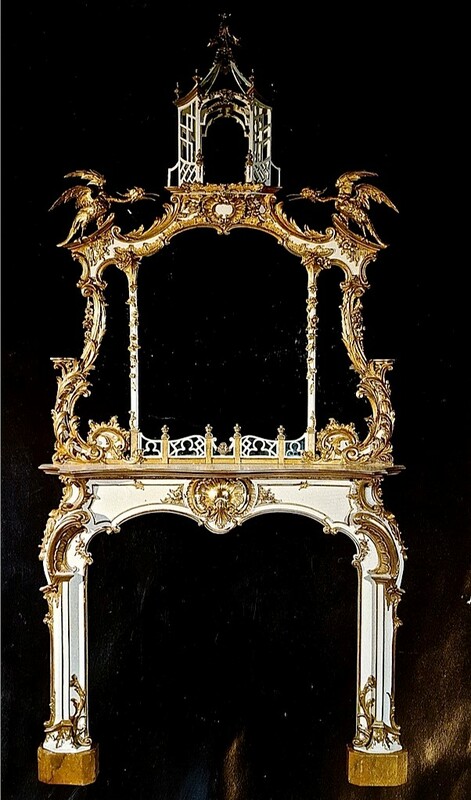 Specialising in French and Italian picture and mirror frames, period furniture including console and fire surrounds. 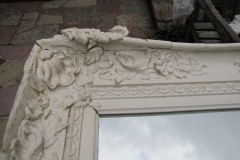 Based at the Cob Barn in Cockington Court, click here to see us on the Cockington Court website. 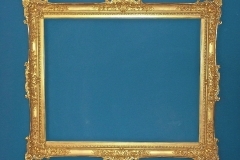 Website by Cater Bearwood Ltd based on Kale Theme.